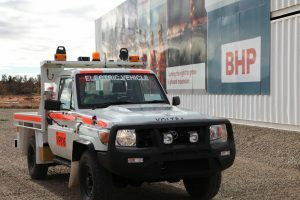 After months of development, travel and hard work by the Voltra team, BHP have announced their commitment to trialling the eCruiser at their Olympic Dam mine site in South Australia! 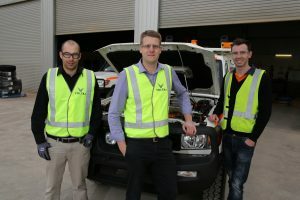 This is a major milestone in the Voltra project, with the 100% electric drive LandCruiser 79 Series to be put through its paces in full underground fleet operation over a 12 month trial period. At Olympic Dam, where copper, uranium, gold and silver is extracted, the vehicle’s performance, maintenance requirements, charging time and corrosion resistance will be monitored and analysed. We are confident that BHP’s team will prove the benefits of zero harmful emissions underground, as well as increased fleet availability and a saving on maintenance and operational costs. The vehicle that BHP will be trialling is the second fully operational eCruiser, and the first to be assembled in Australia. 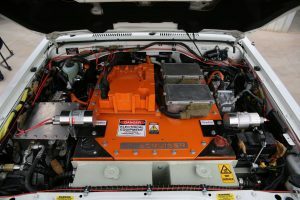 The conversion kit was fitted to a brand new 79 Series in January 2018. 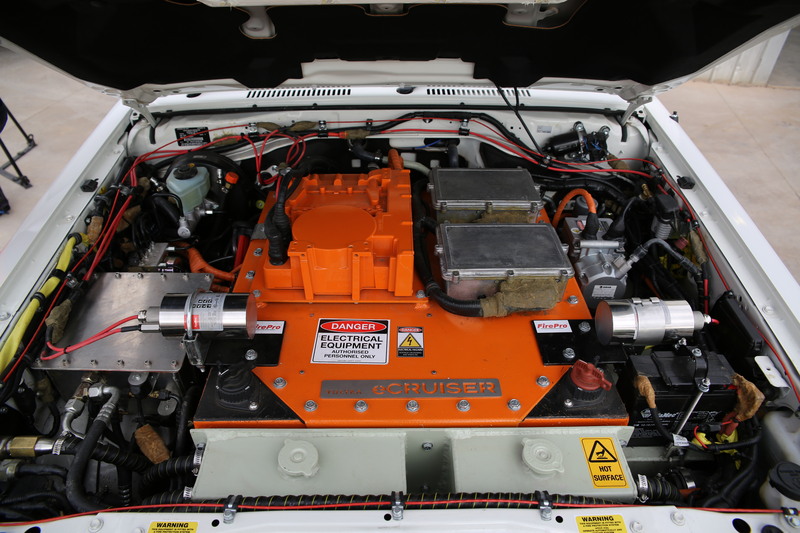 It took just three weeks to transform the fuel-guzzling V8 into an efficient EV, complete with fully-sealed lithium-ion batteries, a custom gearbox and electric motor – all while retaining four-wheel-drive capabilities. In the following months, small tweaks and refinements were made to the auxiliary items and onboard software. The vehicle was fitted out with all mine spec equipment, including radios, a custom tray, lights, occupant protection, fail-safe brakes, and other safety measures. 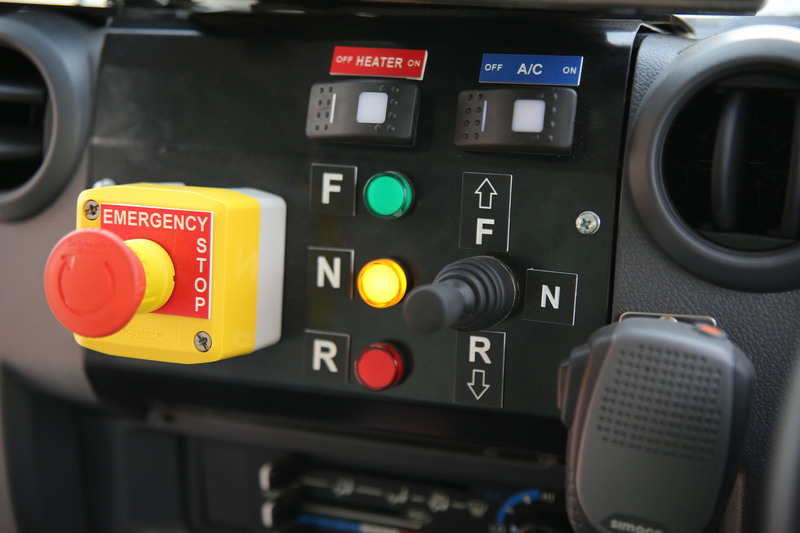 Voltra also produced user manuals and operational guidelines to ensure that any light vehicle operator is able to easily identify the aspects that differ from a diesel vehicle, and safeguard against faults. 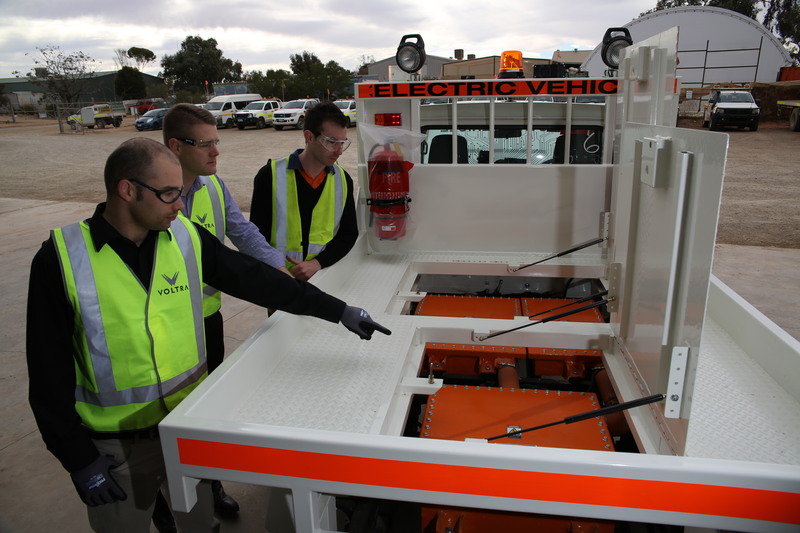 The 7-hour transport of the Voltra vehicle from Adelaide to Roxby Downs took place mid-June. Throughout the month, Voltra technicians and representatives made the trip north weekly to introduce the LEV to maintenance workers and provide basic training to operators. Once all relevant personnel are fully briefed on the operation of the eCruiser, and BHP internal processes and documentation is complete, the vehicle will be ready to commence full underground operation – joining the 240-strong fleet at Olympic Dam during July. What Will the Trial Achieve? And above all, a reduction in BHP Olympic Dam’s carbon footprint and environmental impact. We thank BHP for working together with us to support the electric vehicle project and ensure the success of the Voltra trial. As early adopters of our ground-breaking technology, BHP Olympic Dam will be the first to prove these benefits in the underground mining sector, and we believe that many other mine sites will soon follow in their footsteps!